On New Year’s Eve, the Association of Korean Independent Film & Video issued a press release revealing its award winners for 2015. Taking home the top prize for Best Independent Film was JANG Kun-jae’s A Midsummer’s Fantasia, while Cruel State (2015) producer Citizen’s Documentation Committee for the Sewol Ferry and documentary producer AN Bo-young (The Big Picture, 2013) received the Independent Film Personality of the Year awards. Having already received global attention for his debut Eighteen (2010) and particularly Sleepless Night (2013), which picked up the top prize at the Jeonju International Film Festival and additional prizes at the Edinburgh International Film Festival and the Festival of the Three Continents in Nantes, JANG returned in late 2014 with A Midsummer’s Fantasia. 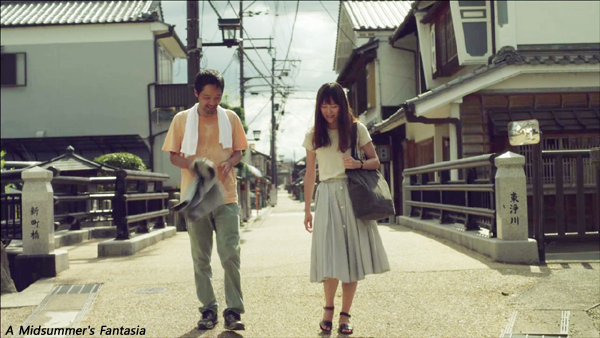 Produced by Japanese cineaste KAWASE Naomi, the romantic indie debuted as the opening film of the Nara International Film Festival before going on an extensive festival run that included stops in Busan, Vancouver, Hong Kong, Rotterdam and Los Angeles, among others. JANG’s film also won the Jury Prize for Best Film from the Asiatica Film Mediale in Rome. After a strong limited in Korea, during which it drew 36,054 viewers (USD 231,527), A Midsummer’s Fantasia also picked up the Korean International Critics Award from the Korean Association of Film Critics in the fall and the Best Screenplay Prize from the Busan Film Critics Association last month.